Despite frequent and incessant calls to safeguard email and other online accounts, many do not realize the significance of such protective actions. Because it is nowadays convenient, people often use their Google accounts for a number of business and personal activities spanning from checking email to financial transactions, and these helpful tools are accessed by one single login. Although the use of a single login information is indeed convenient, it puts the user at a much higher risk of being hacked especially if the action has a reward attached to it. In order to hack a Google account, a cybercriminal simply needs a username and a password. With those two tidbits of information, it is possible to crack a business’ security wide open or gain access to an individual’s sensitive and financial data, using bots and other intently designed software. Weak passwords are easy to decipher, phishing through the use of a counterfeit website can yield results, and some cyber criminals simply use keylogging malware that detects this information as a user presses the keys on a keyboard. Small businesses don’t have to completely sacrifice the convenience of using a Google account for their operations to guarantee safety. However, two-factor authentication provides an extra layer of security and doesn’t take much effort to implement. Google users still enter a username and password combination, but they must also enter a one-time authentication key delivered to another device, such as by text to a mobile phone. Therefore, even if a hacker figures out the username/password combination, they will not access the Google account without the extra authentication key. 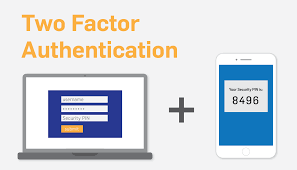 In order to begin using two-factor authentication, a user should go to the Google’s user account configuration page. The authentication process should be done from a Chrome browser in order to achieve full functionality. This page guides the user through two-factor authentication setup, asking for such information as a mobile phone number, how often would the user want to verify credentials and a backup means of contact. In the event that cell phone contact is impossible, Google provides ten authentication keys to print or otherwise save that will give the user one-time access to the account.